More details have been revealed by Cunard Line’s upcoming multi-million refurbishment for the Queen Mary 2. The large vessel will be enhanced further thanks to a 25-day upgrade that will overhaul many elements of the famous ship. The huge refurbishment will take place from May 27th to June 21st, 2016 at the Blohm+Voss Shipyard in Hamburg, Germany. The British based cruise line which is owned by the Carnival Corporation will bring many new experiences for guests to enjoy as well as new interior designs. Cunard Line announced today that London-based SMC Design will take on the important task of updating the decor around the QM2. SMC Design has already gained experienced from being involved in small and larger cruise ships including the Cunard Line fleet. The new designs aim to give the interior spaces clear identity and character with some strong traditional Cunard colours introduced as features and off-set against more neutral Queen Mary 2 tones. With new signature colour schemes, new carpets, new furniture as well as more decorative fixtures and fittings installed throughout the largest ocean liner in the world, the design approach is set to ensure the flagship retains her leading position. The details follow on from the recent well-received news that Queen Mary 2 will gain 15 new single cabins and an additional 30 Britannia Club cabins during the refit and that the very popular kennels will be expanded to cater for the high demand this unique facility already attracts. Cunard Line is putting more effort than most into the the QM2 refurbishment mainly due to the ship’s iconic status. Over the last eighteen months Cunard has been consulting and testing different ideas with thousands of past and future guests across the world. The testing has brought new ideas for the upcoming refit and the cruise line will reveal more the closer we get to the Queen Mary 2’s refurbishment. 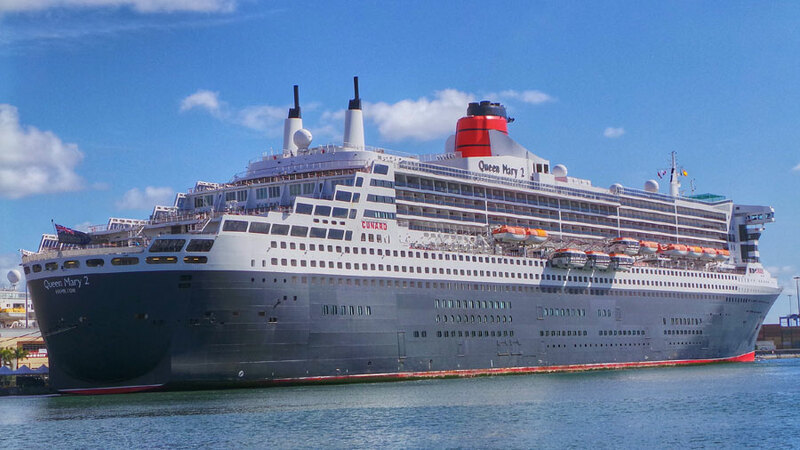 You can read our report on Cunard Line’s original announcement on Queen Mary 2’s refurbishment. Let us know what you think of the ship and what you would like to see onboard the famous ocean liner in the comments below.